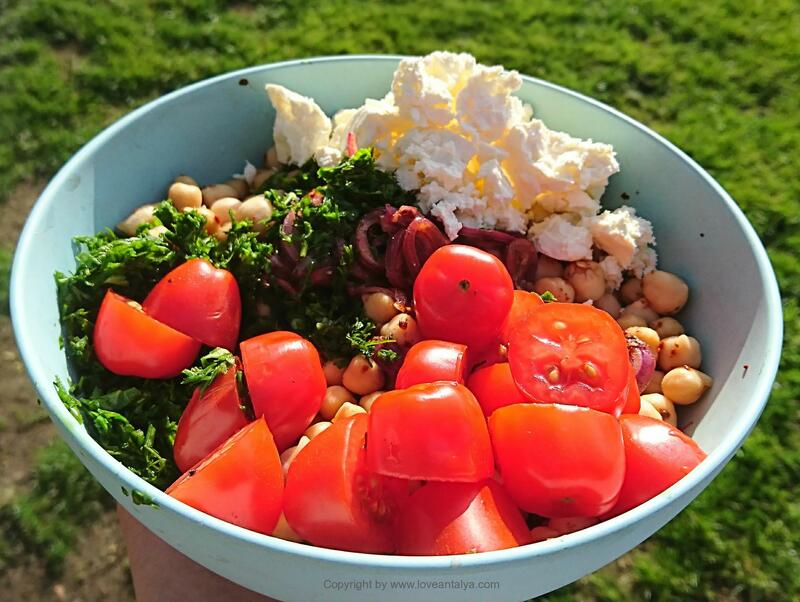 This chickpeas salad is one I slowly developed last summer. And at last I was satisfied. It just tasted so good and even my kids ate it (they are usually not happy for this type of salads). Once upon a time, I tasted something similar at a small, shady restaurant in Antalya – can not even remember, what the restaurant is called . And the chickpea salad was just so delicious, I could not forget it. I am often really grateful for those small restaurants (or the “food-street” in Migros), where they have salad buffets. You can always find something really delicious there and I often get inspired to experiment with everything. 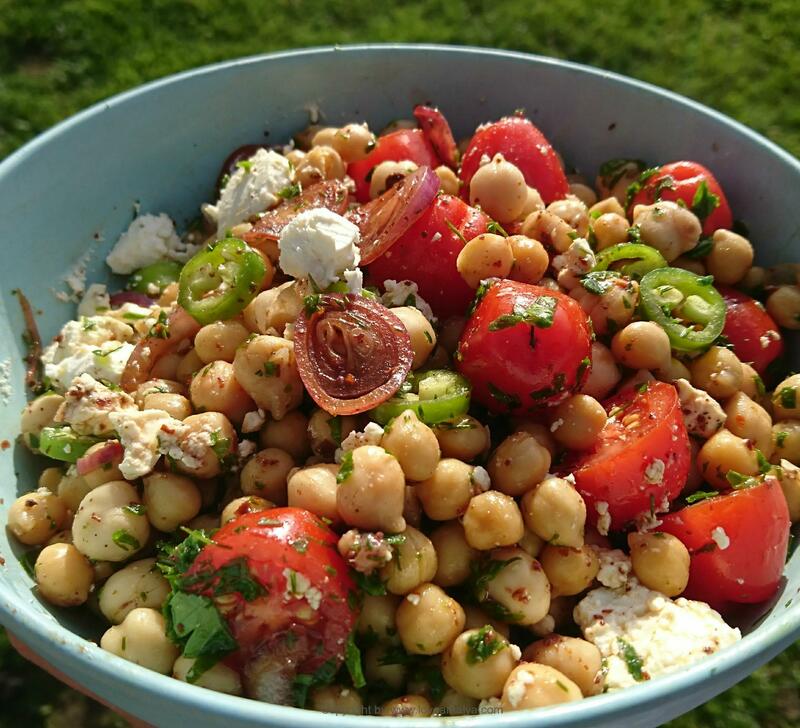 Last year I used this chickpeas salad most of the summer, because it was so easy to make, it suited almost everything (we barbecue a lot – all year long) and then it could last for a couple of days. And I do like, when you can use the same kind of rich salad for all possible – chicken, fish, beef, veal, pork or whatever you eat. That it also stays good for lunch the day after and you can even use the last rest until supper as a small supplement is just super. Had we been in Turkey, I would have brought this dish to a picnic. “You can do that in Denmark too” you will probably say. Yes of course you can. We just do not do picnic here as when we are in Turkey. Only a single time or two on the beach maybe. 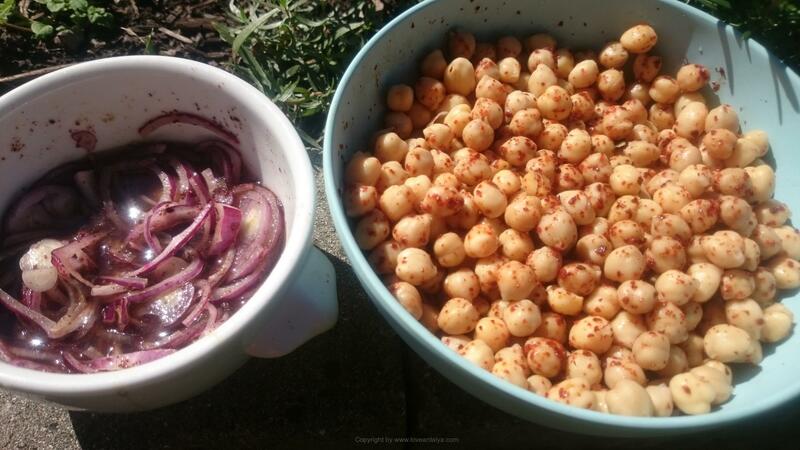 But this chickpea salad is equally suitable for summer or winter. You do not need a barbecue or picnic to eat it. You do not need that terrible many ingredients for this chickpea salad. And of course you do not have to follow my recipe completely. You can just use what you have. But this one is quite good. Chickpeas are not so tasteful itself – at least not when they come from a can. But cans are good in a narrow turn. I think, that the best chickpeas are clearly the ones you cook yourself. They just taste different. The bonus is that you can boil a huge portion, freeze them down, make a proper hummus or whatever you want. Hummus at home always brings happiness – you can find my recipe for it right here. Although it is absolutely helpful to cook the chickpeas yourself, much of the flavor also comes from especially Nar ekisi, Pomegranate syrup, dill and italian parsley. If you are lucky to find a good salted Turkish feta cheese, it also helps you well on your way to a really good, tasteful salad. But it requires, that you find one of the right feta cheeses. Not those tame weak-kneeded blocks, you can buy wrapped in plastic in the supermarkets. It must swim in a (salt) brine, because it is the way it stays the best and preserves most of the taste. You can get some pretty good at your ethnic greengrocer. So you can easily cook this chickpeas salad the day before you use it, earlier in the day or when you just have time for it. It stays fine and only wins in taste, if it rest a bit. 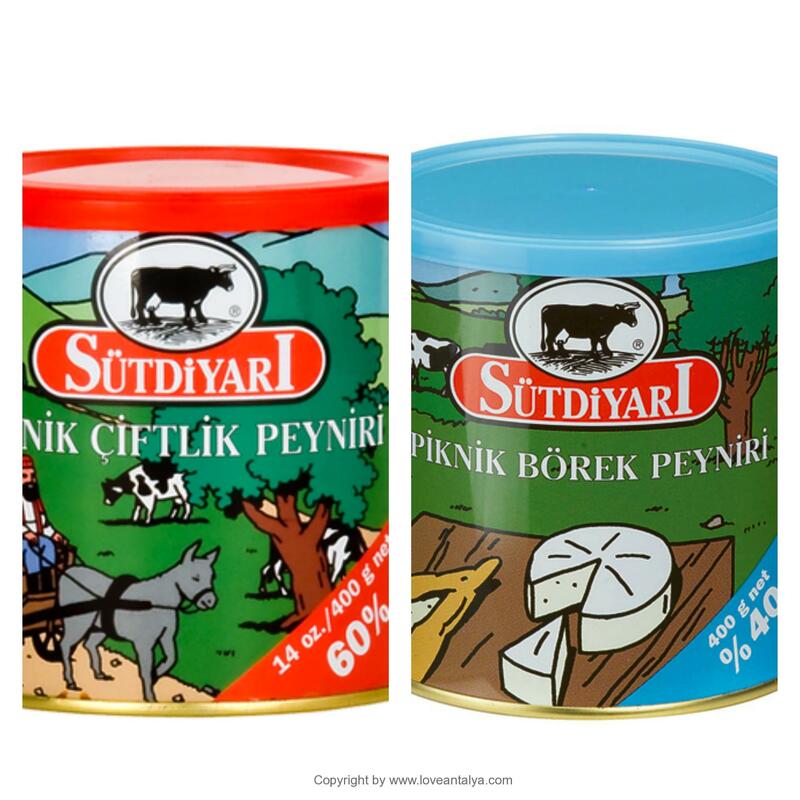 You can serve this salad with these Tekirdag köftesi. 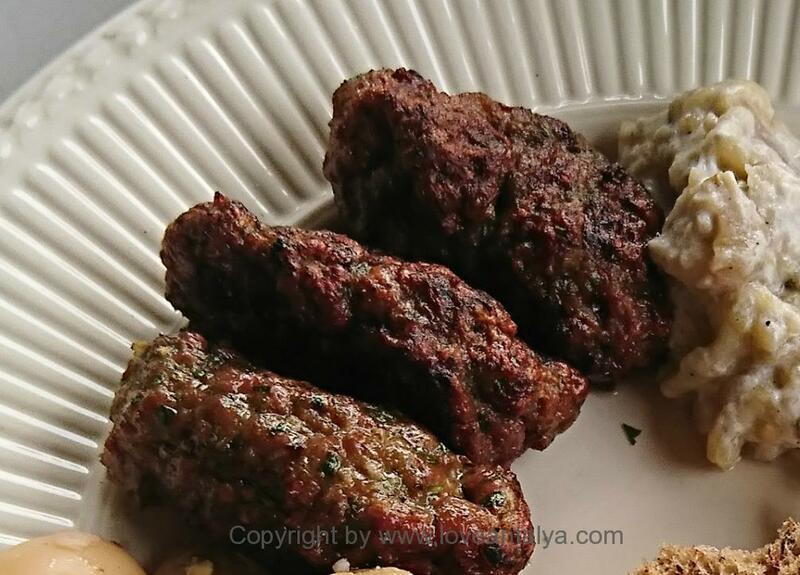 The spiced flavor from the meatballs fits well with the slightly sour flavor from the salad. No more talk – here comes the recipe. Afiyet Olsun. 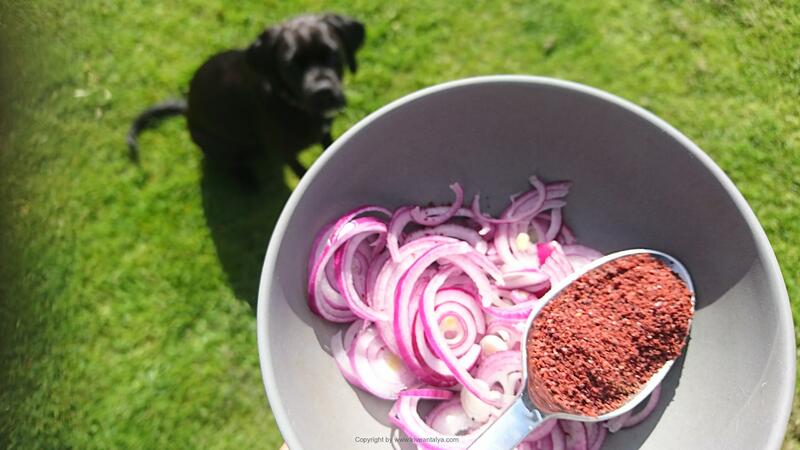 1 tbsp chili flakes, turkis "pul biber"
Be sure to mix the marinadeand the salad well before serving. And also serve a good bread. It is always so nice to sit and soak the remaining juice with the bread. « Hvorfor kommer turisterne tilbage til Tyrkiet?